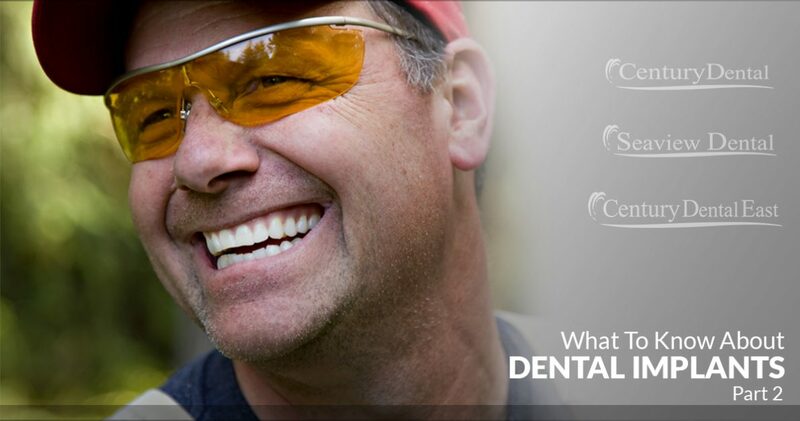 In last week’s blog, we began a question and answer session about dental implants. Implant dentistry is one of our specialties, and we are proud to offer this service to our patients. Let’s continue to the Q&A, but know our dentists in Pine Beach, Jackson, or Eatontown, NJ are available to discuss your particular needs. There are risks with any type of surgery, though the risks are rare and when they do occur, are usually minor. Dr. Port is one of the most experienced implantologists in the region and has successfully placed almost 20,000 implants throughout his career. So, when we say you are in good hands at our dental offices, we mean it. Some potential risks with this procedure include infection at the implant site (usually avoidable if proper aftercare steps are followed), injury to other teeth or blood vessels, nerve damage, and sinus issues. After each implant procedure, you can expect some swelling of the gums and face, minor bleeding, discomfort at the implant site, and possible bruising. During the recovery period, you should refrain from smoking and eat soft foods while the area heals. After the entire procedure is complete and you get the green light from our dentist, you can go about your daily habits, eat the foods you love, and not worry about your smile — other than keeping up with your oral hygiene routine, of course. The longevity of your implants largely depends on how well you take care of them. With proper care, your actual implants — the metal posts in your jaw — can last a lifetime. The actual artificial teeth, though, wear down naturally over time. With proper brushing, flossing, and twice-yearly dental checkups, the teeth can last 10-15 years. Typically insurance does not cover the full cost of dental implants. We offer several financing options and accept CareCredit, a healthcare financing credit card that can be used for medical procedures that you cannot afford to pay for out of pocket. We want to make sure affordable dental implants are available for you, so please contact our office to ask about financing before ruling out this procedure. Dentures are a set of false teeth that are held in place with denture adhesive. They have a lower upfront cost than implants and must be replaced every few years. Dentures are a great option for people who do not have the bone structure needed for dental implants or do not feel up to the several-month process of getting implants. Dentures give the appearance of having real teeth, but they are not functional enough to be called a true “replacement.” Dental implants are completely functional. With three office locations, Century Dental in Jackson, Century Dental East in Pine Beach, and Seaview Dental in Eatontown, one of our skilled dentists is never far away! Get in touch with us today to schedule a denture or implant consultation!